Speculation: Is Sub-Zero the Kombat Hero for Injustice 2? Is Sub-Zero the Hero for Injustice 2? Ed Boon prompts speculation! The tweet references lyrics from a 1973 educational song: My Hero Zero. Part of the Schoolhouse Rock! series, it was written and performed by Bob Dorough. The song in question sings the praises of the digit 0, as well as the powers of 10. It wouldn't be the first time a song hinted at something from an upcoming game, but poor Uncle Ed can't tweet many things without eliciting a blizzard of requests, assumptions, and theories. Indeed, the reference could be something as simple as the weather -- which dipped to a reported low of 1° in Chicago, on December 15th. Close to zero, in some areas. Then again, there is at least some basis for reading into Boon's message. The Creative Director was quick to acknowledge the likelihood of guest fighters in Injustice 2, making a recent polling of fans one of the more substantial talking points of the last few months. Sub-Zero emerged as an overwhelming fan favourite, also deemed the most obvious choice in MK Online's earlier wish list ranking of Top 10 Guest Kombatants. When Scorpion crossed over as a downloadable guest in Gods Among Us, he received a DC Universe makeover from celebrated artist and publisher Jim Lee. It wouldn't be unreasonable to expect something similar for the next Mortal Kombat guest, which may go further to answering the musical question: "How can Zero be a hero?" In an arcade ending from Mortal Kombat versus DC Universe [pictured above]; Sub-Zero left the Lin Kuei to become a Batman-inspired vigilante. This caped version of the ice warrior featured on MK Online's Top 10 Klassic Skins we would've liked to see in Mortal Kombat X. A return in Injustice 2, however, would arguably be an even better way to bridge the gap to the maligned 2008 crossover! Yeah, Super-Hero Sub-Zero is a wonderful thing. Is Sub-Zero the Injustice 2 crossover hero for you? Register to tell us your thoughts on the DC Universe Injustice forum! Sing this song and many more by liking & sharing stories via @MK_Online and Facebook. Anti-hero Raiden for me or villain Shao Kahn. RE: Speculation: Is Sub-Zero the Kombat Hero for Injustice 2? One of the predictable ninjas.... how................................. predictable. Prediction: <br/>Sub Zero and Scorpion in base Injustice 2. 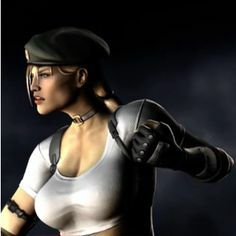 <br/>Cassie in as DLC. Sub Zero and Scorpion in base Injustice 2. <div class="forumQuote"><b>blacksaibot Wrote:</b><br/>One of the predictable ninjas.... how................................. predictable. </div> <br/> <br/>If we end up with SZ, which I am not thrilled about, some surprises would be nice; SZ could have gear to change him into any of the following: Cyber Sub Zero influenced by Shao Kahn or Noob Saibot. If we end up with SZ, which I am not thrilled about, some surprises would be nice; SZ could have gear to change him into any of the following: Cyber Sub Zero influenced by Shao Kahn or Noob Saibot. Pretty sure Steve Blum is recording his lines as we speak. One thing I wonder: is Sub-Zero's moveset going to be very similar to his MKX one? The other three characters on the MK guests poll were also all in MKX, and Scorpion's moveset in Injustice was largely rehashed from his MK9 one, with some tweaks, his supermove being his only major one. <br/> <br/>I'd find it disappointing if MK guests' movesets in a NRS-made non-MK fighting game were always ported over from a MK game that came out before it, especially if non-MK guests get fresh movesets. One thing I wonder: is Sub-Zero's moveset going to be very similar to his MKX one? The other three characters on the MK guests poll were also all in MKX, and Scorpion's moveset in Injustice was largely rehashed from his MK9 one, with some tweaks, his supermove being his only major one. I'd find it disappointing if MK guests' movesets in a NRS-made non-MK fighting game were always ported over from a MK game that came out before it, especially if non-MK guests get fresh movesets. I'm just curious to see his gear options and if Scorpion, Noob and Johnny Cage would really appear as guests. <br/>I'd exclude scorpion because he was already in Injustice, and Johnny due to his appearance in WWE Immortals. So Noob would be a good fit. He missed MK X and now is 100% safe to say Subby is in Injustice 2. The Lin Kuei/Brotherhood of Shadow brothers one against the other. I'm just curious to see his gear options and if Scorpion, Noob and Johnny Cage would really appear as guests. I'd exclude scorpion because he was already in Injustice, and Johnny due to his appearance in WWE Immortals. So Noob would be a good fit. He missed MK X and now is 100% safe to say Subby is in Injustice 2. 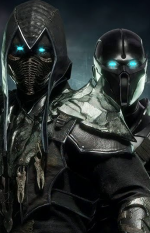 The Lin Kuei/Brotherhood of Shadow brothers one against the other.